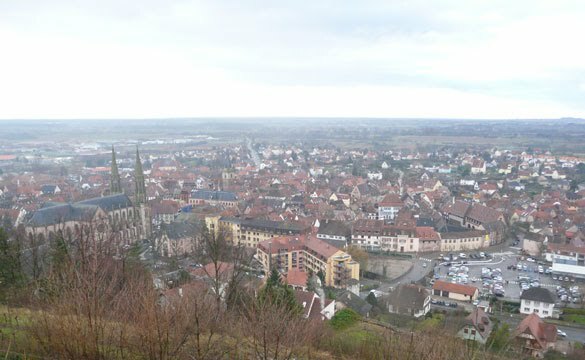 In a cloudy and slightly wet morning, my friends and I walked a vineyard trail to a viewpoint for a bird's eye view of the town of Obernai. The view was nice. 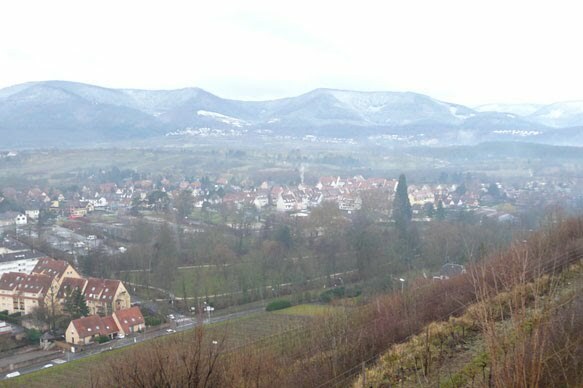 We can see snow in the nearby hills. 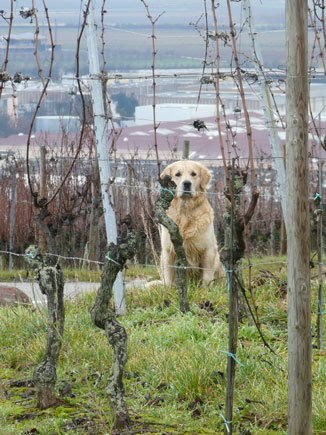 As we navigated our way down the vineyard trail back to the town, we saw this dog sitting behind some vines. The dog saw us too and became alert. 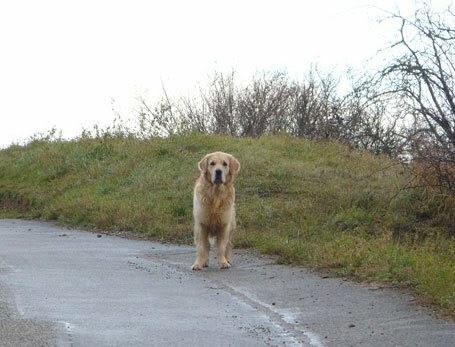 She observed us for a while and as we approached, "woof! woof! woof!" She started barking and running along with us. She's trying to chase us away! I was quite amused and took a video (below). One of my friends is scared of dogs and both of them are not used to being barked at continuously. I could see that they started to get nervous. I yelled to both of them "Don't run, walk normally. Don't be scared, the dog can smell your fear!" But, this vineyard dog constantly went to my friend and barked at her, although she's actually the one leading us walked out of the vineyard. Thank goodness we reached the end of the vineyard within minutes. The dog stood still at the edge of her territory and watched us walked away, as if to supervise us and make sure that we didn't return. Smart dog indeed.